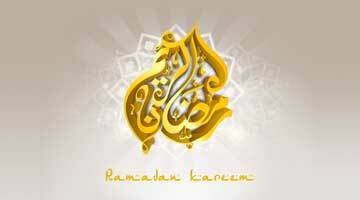 Allah (swt) has given us yet another opportunity to welcome the blessed month of Ramadan in our lives, Alhamdu lillah! This will be the 11th Ramadan at ICBC. Below is a list of programs and activities planned at ICBC during the blessed month, Insha Allah. Please click here → for Ramadan prayer schedule and Sahoor/Iftaar timing. Taraweeh prayers will be led by Hafiz Mohamed Awalee and Hafiz Mohamed Elattar. As in previous years, they will be assisted by local youth Huffaz—Abdullah Mohseen, Luqman Javed, Samir Khan, and Musab Abdullah— on Saturdays and Sundays. We plan to finish recitation of the Holy Qur‘an on the 29th night, Insha Allah. Qiyaam Al-Layl prayers will be held during the last 10 nights. Start time will be announced soon, Insha Allah. Following is a list of khateebs arranged to deliver khutbah at ICBC during Ramadan. We will have community members offering a short khatera every day after Fajr salah, Insha Allah. Every year, a few brothers have observed I’tekaf at ICBC during the last ten days of Ramadan. We encourage community members to participate in this Ibaadah. We will have community Iftar/dinners sponsored by generous community members every Saturday and Sunday as well as the 28th of Ramadan. Those interested in sponsoring Iftar at ICBC may sign their names at the Iftar Sign-Up Sheet posted at the ICBC Bulletin Board. During the blessed month, our three girl scout troops will conduct bake sale during a weekends to raise funds, partly to donate to Masjid and partly to help fund the various activities for the troop throughout the year. Qur’an Tafseer Class in English: Sheikh Yassir Fazaga will offer the Qur’an tafseer in English for our sisters on Thursdays from 11:00 am to 12:00 pm. Sisters’ Dora e Qur’an: Quran classes in Urdu every weekday in Ramadan. The goal is to finish the whole Qur’an by 20th of Ramadan, Insha Allah. We plan to hold the following activities during Ramadan, Insha Allah. Islamic Quiz competition every day on various topics. The entire month’s quiz Q & A will be posted at the ICBC Web Site. Youth Girls & Boys Program: “Blessings of Ramadan” on May-19th between 4:30 pm and 6:30 pm by Sr. Asra Nasneen (Age 9 and above). This is the second Ramadan during which we get to fully utilize the new parking lot. Insha Allah, we will have approx. 230 parking spaces to use. A section of the ICBC parking lot is being used to store the steel for the new Masjid frame. The entire area is deemed a construction zone and hence off limits for all but authorized personnel only. Please avoid this area and we also urge all parents to ensure they keep their children out of the construction zone. Our Da’wah & Outreach committee will host an Iftar dinner with The Mormon Church of North Buttercup Creek. We are conducting a drive to collect food for baskets to be delivered to families in need throughout this blessed month, InShaAllah. Collection boxes and a list of all requested items to complete a basket were placed at the Men’s and Sisters’ prayer areas. We plan to conduct a toy drive for children forced to relocate to Austin from their home countries. As you may have noticed, we started erecting the steel frame this month, Alhamdu lillah. The next phase of the work is to install pillars and tie them with first level columns. The work is expected to continue for the next few weeks, Insha Allah. We will conduct fundraisers in this blessed month towards the ongoing Masjid construction.